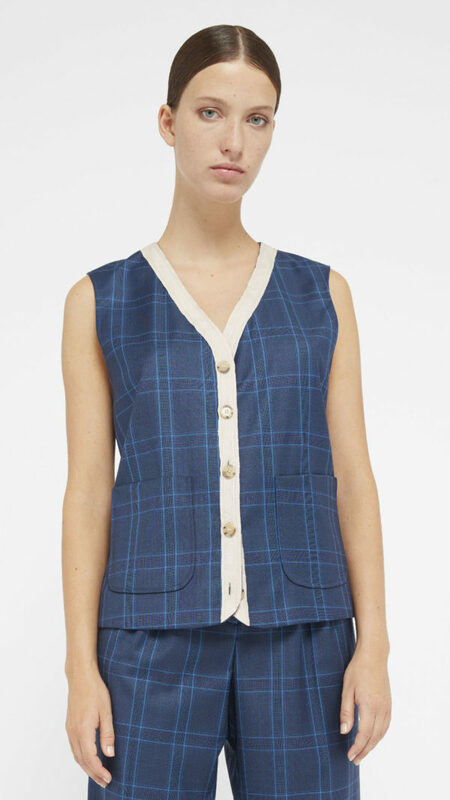 This men’s vest with a button down closing system comes in blue checks flannel woven in Italy. Its two front pockets and its pink powdered linen ribbon give this formal piece a more casual appearance. A thin strap at the back allows you to adjust the fit around your waist.